The policy dealing with students who have asthma has changed. In accordance with the Act to Protect Pupils with Asthma (Ryan’s Law : Ensuring Asthma Friendly Schools, 2015) the Board approved a new policy #206: Protection of Students with Asthma at its June 21st Board Meeting. The York Catholic District School Board recognizes that there are some students within the school system who have a diagnosis of asthma which could be life threatening. The York Catholic District School Board also recognizes that asthma management is a shared responsibility among students, parents, caregivers and the entire school community. It is the responsibility of parent(s)/guardian(s) to advise the school immediately upon registration and/or when in receipt of a diagnosis of asthma. It is also the responsibility of parent(s)/guardian(s) to ensure that all medical information pertinent to their child’s diagnosis of asthma is always current. 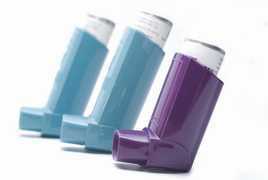 If your child has a diagnosis of asthma please contact the school office immediately so that the appropriate forms are completed and school records are up to date in accordance with Policy 206. Thank you for your immediate attention to this request and your ongoing support in the shared responsibility for asthma management in our school. Please refer to the Board’s website for more information related to Policy 206.